Nominations Open! 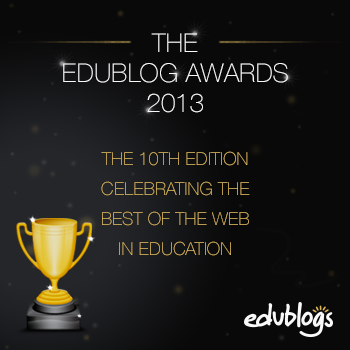 The 10th Annual Edublog Awards Are Here! 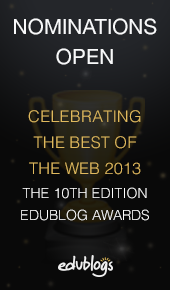 The 2013 Edublog Awards are a go! Can you believe this is the TENTH year!? Write a post with your nominations for the different categories on your own blog (or a website – anywhere public) – here is an example of a nomination post from 2012. Nominations must be made somewhere public – your blog, a forum on a ning, a school website, etc.